You can be sure that when I am in any city I will look for craft beer. In Takamatsu, one of the places I was looking for was called Irish Pub the Craic. It is really close to JR Takamatsu Station and it looked interesting. 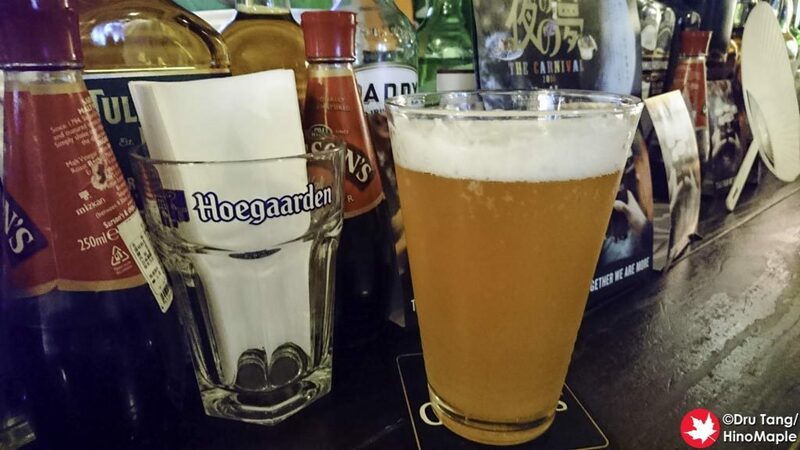 It is a typical Irish/British style pub that you may find in Japan. They have a nice bar counter with some small foods and a few drinks on tap. The Craic was really interesting overall but not something that I could call home after only a single visit. The Craic is not very easy to find, but it isn’t difficult either. It is located above an Italian restaurant and only a few minutes south of JR Takamatsu Station. Inside it is pretty dark with a lot of dark green on the walls and a lot of Irish souvenirs too. There are 2 rooms inside with a seating area and a bar area. The seating area is better for groups looking to have fun, but the bar is where you go to meet people. The bar area is all standing so don’t expect to be very comfortable if you go. The owner of the Craic is an interesting fellow. He seems to love beer and runs a tight ship. From watching him work, he seems pretty kind but very strict when people mess up. They seem to have a lot of part time workers or I was just there too early. They don’t always have time to talk but they make a lot more time to talk to the regulars. Being there for the first time I felt out of place but I didn’t feel like I was not welcomed either. I did feel welcome but out of place because I couldn’t join the conversation. I’m sure that would change if I was there often and they got to know me and my face. The beers at the Craic are really interesting. They have their own beer that is made with udon flour. I was surprised to hear that and I tried it. It wasn’t bad but it wasn’t spectacular either. They also had a Milco made with a Pilsner and Urquelle. I had never heard of a Milco before and it is basically an all foam beer that you let settle; it creates a creamer mouthfeel. Unfortunately the beers are a bit overpriced compared to Tokyo, usually 100-200 yen more per pint, but the sizes are really good. The food at the Craic is pretty good too. 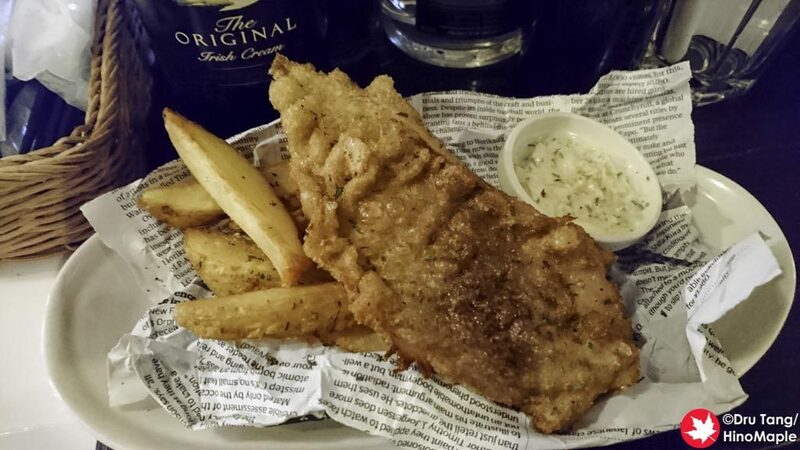 I wasn’t planning to eat a lot but I had to get dinner at that time so I got the fish and chips. The fish and chips weren’t too bad and they used buri (Japanese Amberjack). I was recommended to just use my hands and rip pieces off with my teeth as the fish was a bit tough to cut. I did enjoy it but the texture of the buri was not really good for fish and chips. 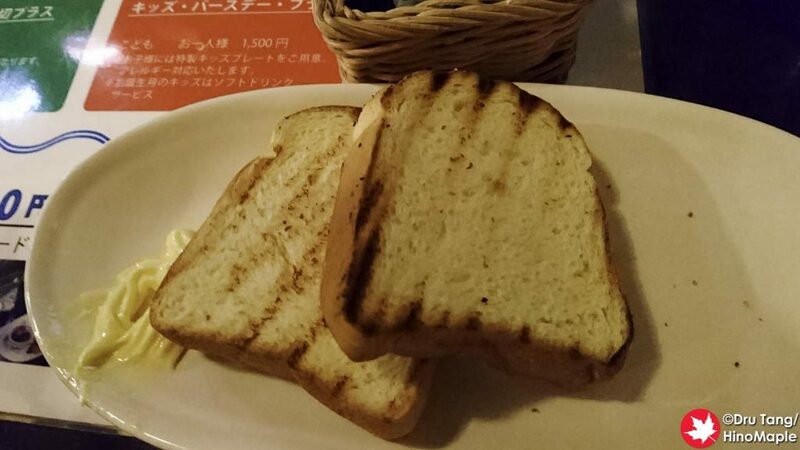 They also have a beer bread, bread made with malts, that was really good. It was soft and sweet, sweeter than white bread, and I really thought it was good with the beers. The Craic is a good place to make a watering hole if you enjoy the blue collar experience. It is a typical local bar but you really need to give them a bit of time to warm up to you. The place didn’t seem to be too busy until 8pm when the main crowd just seems to walk in all at the same time. It was also the time that I had to leave because I had an early ferry to catch the next morning. You can be sure that I will be at the Craic at least once whenever I am in Takamatsu as they do have good beers and decent enough food. 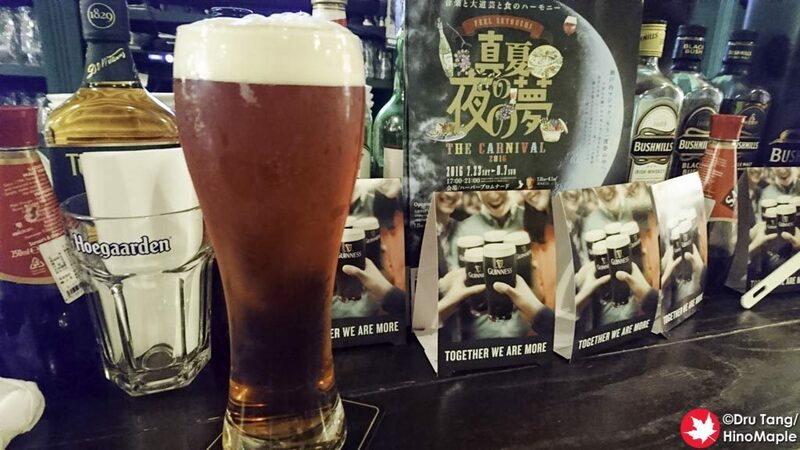 This entry was posted in Shikoku Food and tagged Bar, beer, craft beer, Irish Pub, Irish Pub the Craic, japan, pub, Takamatsu, The Craic by Dru. Bookmark the permalink. Let’s go together next time. I haven’t been in years (literally), but if I was to become a regular of a place, it would be this one (actually I already know one of the employees).